The live streaming video platform Twitch improved online security this March to protect professional and amateur streamers from harassment and hate speech that have plagued some users. Twitch, a subsidiary of Amazon.com, updated the Community Guidelines to reflect how important community of streamers is to the platform to combat the issues surrounding hateful conduct. A statement released in February gave users a better idea of what would take effect in March. Chicago streamers Tanya DePass, Brandon Stennis and Dennis White, Jr. share their thoughts on the new Community Guidelines in the video. Twitch didn’t respond to an email request for further comment. 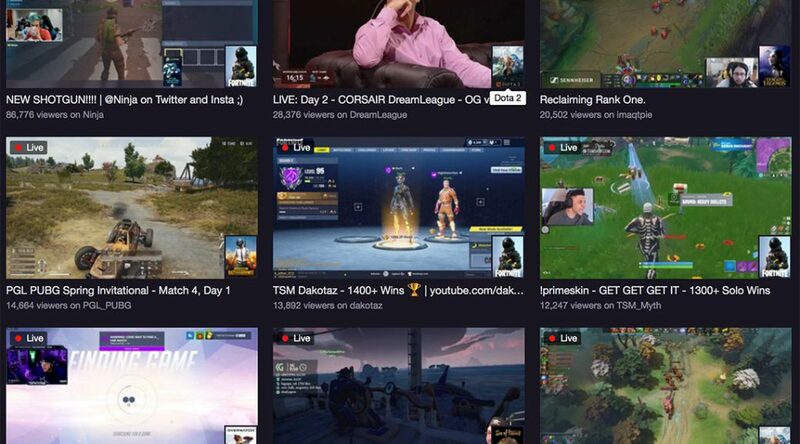 Since its founding in 2011, Twitch has grown to be one of the largest forums on the Internet for content creators with audiences that now rival some traditional broadcast networks. According to data from Macquarie analyst Benjamin Schachter via StreetInsider.com, Twitch’s average concurrent viewership in January reached 962,000. The Esports Observer juxtaposed this number with major network viewership. The report showed that the 2017 total day viewership for Fox News Channel and ESPN peaked at 1.5 million viewers, followed by MSNBC at 885,000 and CNN at 783,000. This global reach of the platform, ignited by instant interaction, also attracted “internet trolls,” people who deliberately antagonize others online with offensive remarks. They seek targets that they deem as suitable victims. While streamers have the power to ban a user from their channel, nothing stops someone from creating a new account and returning to continue the bad behavior, according to Brandon Stennis, a “partnered” (professional) Twitch streamer who goes by iamBrandon. African-American streamers have faced this problem even more prevalently since the start of Twitch. However, the online bullying came front and center for Twitch during a broadcast of Blizzard Entertainment’s “Hearthstone” competition. Professional gamer Terrence “TerrenceM” Miller competed on one of esports largest stages at the Dreamhack Austin convention in May 2016. A flood of racist commentary spread through the Twitch chat during the event, forcing Blizzard and Twitch to release statements on how they planned to to make the community better. The first of new community guidelines to protect users were issued in February 2017. The second round of guidelines came this year, according to the archive of Community Guidelines’ changes. Streamers, like Tanya DePass and Brandon Stennis, have faced these harassment issues but are hopeful for the bright future of Twitch.